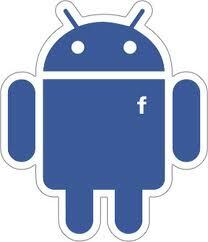 Now you can get all your facebook friends Update on your Android mobile by just Synchronizing your with Google Calender. Facebook Event features helps to see friends Birthday and other events which will be happening in future . You will be getting all your friends birthday on you mobile automatically don’t have to save each and everyone’s Birthday on your Mobile. STEP1:- Login to your facebook Account and goto “FAVOURITES” Under which you will find “Events” . STEP2:- Now near Create event you will find Search type button Click on it. STEP3:- Click on Past Events and at bottom you will see “Birthdays” Click on it. STEP4:- Now they will show all upcoming Birthdays, Goto that same search button and at bottom you will be able to see “Export Birthdays” Click on it. STEP5:- Now you will get URL , Just copy it and save it on Note pad. STEP6:- Now get Login to your Google Calendar and Click on Other Calender and Select Add by URL . STEP7:- Now paste URL which you had copied it from Export Birthdays. STEP8:- Now open calender on your Android and go to Menu >More > Settings . Sync all contact from your Google Calender.